Recently I shared with you'll our blogger meet up with Doin Dubai at Cocktail Kitchen, oh didn't read it, don't worry you can just click HERE. Since that was such a fun evening we recently met up again at Chawlas2 for some Indian food. Zipping through the traffic on a weekday was a struggle but Tez and me made it on time to meet our lovely company for the evening: Sarah, Jen, Javeria, Monica and Gaganjeet! It was a table of bloggers who truly love their food! Upon entering we were offered lassi (a blend of yoghurt, sugar and water) I opted for the sweet one and it was so refreshing - although I felt it should been a little cooler but it was so refreshing and thick, that factor was quickly forgotten. For the starters we opted for the Fish Irani (priced at AED 33.00), the Peshawari tikka (AED 31.00) and the stuffed tandoori aloo (AED 29.00) - my favourite of the three being the Peshawari chicken although spicy (for my tastebuds - I have a low tolerance for spice) the chicken was so tender it was worth every spicy bite! The Irani fish was tender and flaky, we loved the marinade - light and simple, the unique dish however was the stuffed aloo (potato) which was crisp on the outside and oozy of paneer on the inside. Another simple table favourite was the Kachumbar salad, a little spice but so delicious! 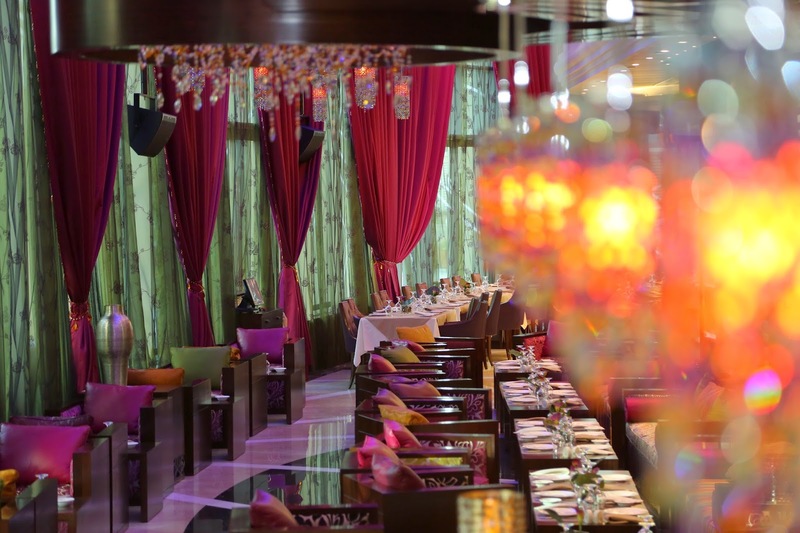 For the mains we opted for the fish curry (reasonably priced at AED 31.00), the Dal makhani, the Paneer Dhaniya Adraki and their signature cream chicken. The cream chicken (their signature dish) sadly had more of a diluted front, whereas seeing the name I was expecting a thicker consistency. On that note however the dal makhani (originating from Punjab) was definitely rich and heavily cream based. This dish was flawless and I could have eaten up the entire serving! Although I'm not a fan of paneer, the gravy of the paneer dhaniya adraki was rich and delicious and went perfectly with the pudina paratha. Not spicy at all, so perfect for those like me who can't handle the spice. 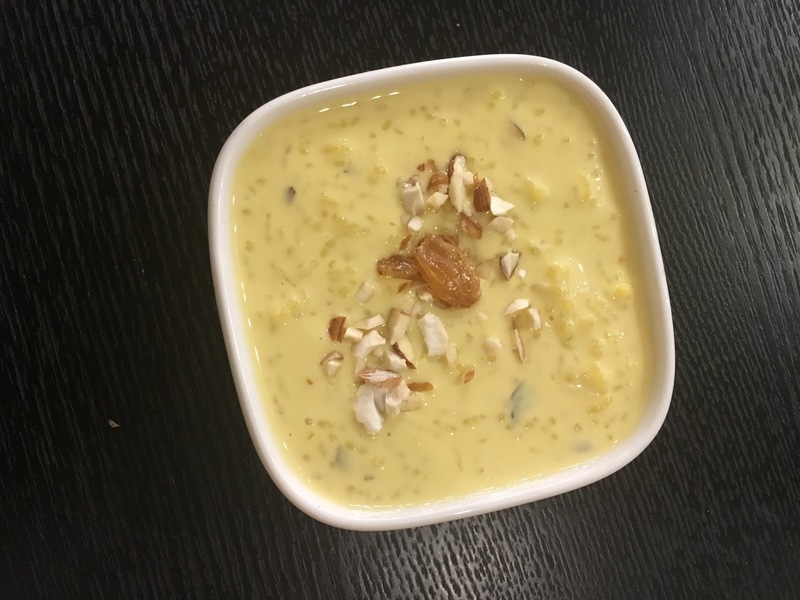 I loved the kheer (and I'm really not a fan otherwise) but this dish thick and I loved the saffron aftertaste. 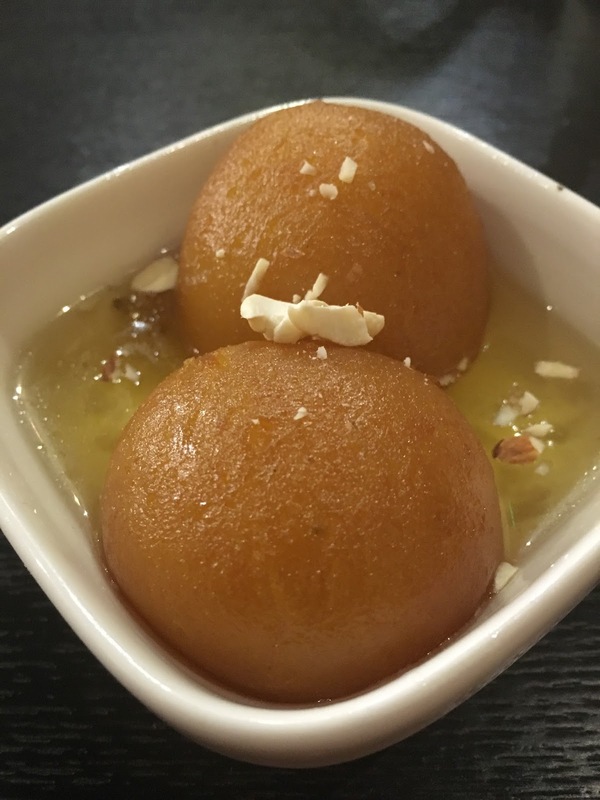 My personal favourite (although the table favourite was definitely the moong dal halwa) was the gulab jamun, sweet yes super sweet but so fresh and delicious. I warn you though one portion is enough!